There is no place like home. Nothing seems to be as relaxing and personal as your home. The ‘aroma’ and the environment that you love at your home can’t be replicated even by the fanciest and the most pricey hotels. Still, home does not provide everything according to your luxury and need. There can always be space for improvement in areas inside the house for a better living experience. But, most people decide on not to remodel their home only because it usually turns out to be very expensive. One day, when you finally realize that you you need to do some home renovations and home must be changed from certain areas for purposes of adding space to the kitchen, bringing sunlight to the corridor or need to add a swimming area beside your lawn, you decide on remodelling it. You estimate its cost, which turns out to be quite massive. If this is the case for you, don’t change your mind, because we have come up with some genuine ways to save money while remodelling your home. If any of your rooms need sunlight or you just prefer natural light over bulbs. And if there are no windows to provide this, don’t start off bringing a piece of your wall down to fix a window there. Instead, go for more straightforward, and less costly ways of natural light. A light tube could be the best solution for it. A light tube is a pipe which delivers the sun rays from the roof to the lower end of the pipe, which opens inside the house and brightening the room. If you’re, let’s say, the kitchen does not feel spacious enough to you, you may be considered demolishing one or two kitchen walls to bring about more space. Alternatively, you can also view a way cheaper method of redesigning or rearranging your kitchen. You may find he had a large kitchen shelf to accommodate those many kitchen appliances. Well, you can opt for cabinet style shelves (shelves arranged upon one another) or racks for keeping all this. You will be getting four to five shelves or racks while saving a lot on the money when compared to bringing down a wall. Most businesses have their up and down seasons which mostly come up every year. Construction and remodelling related businesses get busier during summers and holidays. As a result, you may get higher rates for your remodel, and still, the deliveries will not be fast enough, and workers will show up less often because of the burden of work. Their low times are in January. If you decide on getting your home remodelled during that time, you will save up on cash with better services. Before giving a contract for remodelling, assess the major things needed for it. Then look up your nearest auction for construction-supplies. You will find many things worth thousands of dollars selling there for mere hundreds. These auctions contain damaged as well as good stuff left from overstocks. If you trust your skills and instincts, plus you are also willing to save on cash. 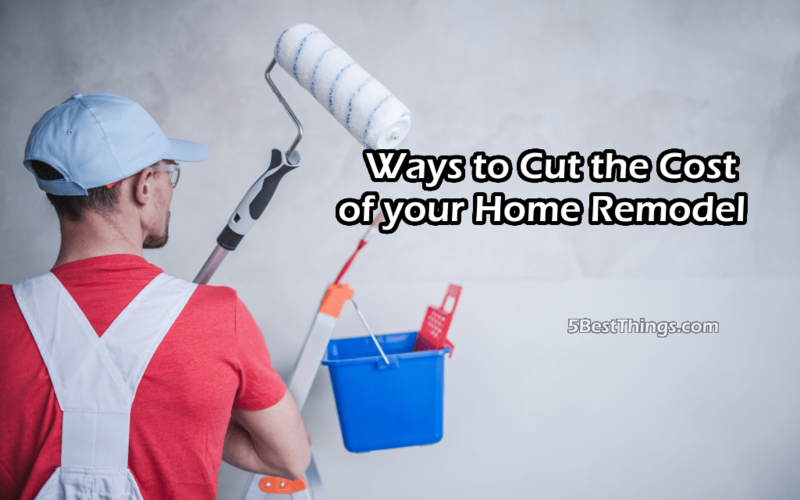 You can do many of the home remodelling tasks yourself. Even if you do not know how to do stuff like painting the walls, you can look for guidelines on youtube or see a tutorial. If you are looking for professional consultations, some contractors also provide consultancy for a decent price. Home is one of the dearest things to someone, and its remodelling is something which should be under budget. Make smart choices when remodelling your home to save on not only money but a lot of hassle.